After 130,000 submissions and millions of votes cast, Sabrina Brady of Sparta, Wisc. has been named the 2013 U.S. Doodle 4 Google National Winner. 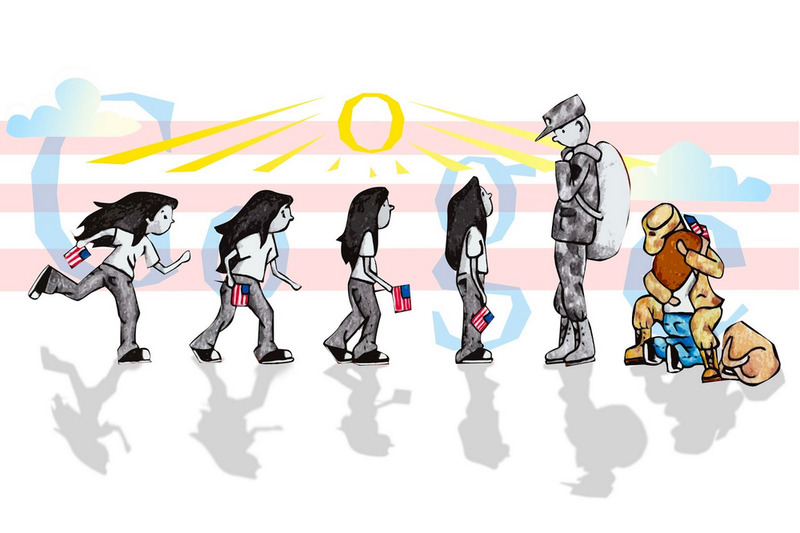 Her doodle, “Coming Home,” will be featured on the Google homepage in the U.S. tomorrow, May 23. Students across all 50 states amazed us with their creative interpretations of this year’s theme, “My Best Day Ever...” From scuba diving to dinosaurs to exploring outer space, we were wowed by the ways young artists brought their best days to life in their doodles. Sabrina’s doodle stood out in the crowd; it tells the story of her reunion with her father as he returned from an 18 month deployment in Iraq. Her creative use of the Google letters to illustrate this heartfelt moment clearly resonated with voters across the country and all of us at Google. In addition to seeing her artwork on the Google homepage, Sabrina—who is in 12th grade at Sparta High School—will receive a $30,000 college scholarship, a Chromebook computer and a $50,000 technology grant for her school. She will attend Minneapolis College of Art and Design this coming fall, where she will continue her artistic pursuits. Congratulations Sabrina! After the awards ceremony, all 50 of our State Winners will unveil a special exhibition of their artwork at the American Museum of Natural History in New York City, where their doodles will be displayed for the public to view from May 22 - July 14. Thanks to all who voted and helped us select the 2013 Doodle 4 Google winners. Even more importantly, thank you to all of the students who submitted their artwork and the parents and teachers who continue to inspire and support their young artists. Until next year... happy doodling!